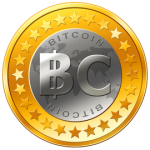 This year Bitcoin has risen from roughly $1000 to $20,000 CAD. I am not the one to tell you that it is volatile, but with the increasing adoption I think that now is a good time to enter the market. Unfortunately, Canadians are a bit limited with the buying options compared to our Southern neighbours in the USA. Still, there are safe ways to buy Bitcoin, Ethereum and Litecoin in Canada. 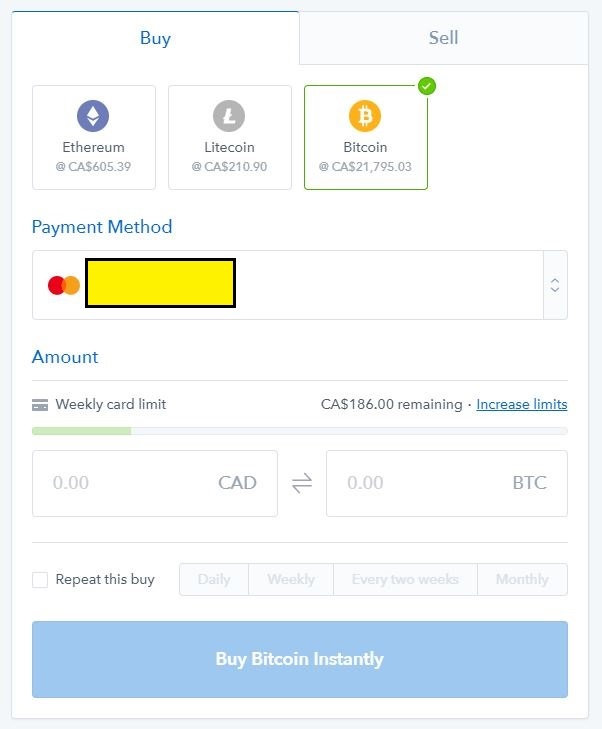 I have tried several ways, and the easiest way to buy cryptocurrency in Canada is without a doubt with Coinbase.com. With the increasing adoption of cryptocurrencies they are adding thousands of new users every day. 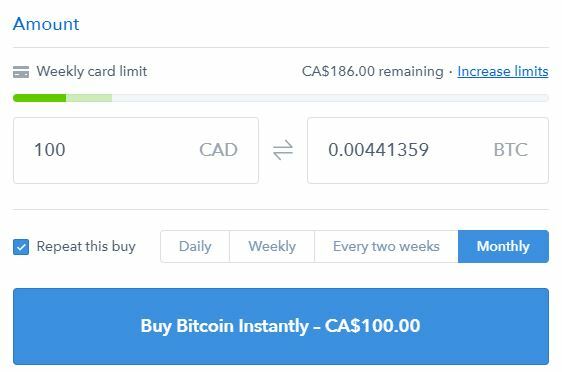 For Canadians the only way to buy Bitcoin through Coinbase is with a credit card/debit card with a Visa/MasterCard logo. Bank transfers are not available. Add a credit card and verify it. Coinbase will make 2 temporary transactions, you verify the amounts that are held, the amounts are refunded. Buy Bitcoin, Ethereum or Litecoin. Once registered, you will be able to buy $100/wk. If you want to increase the limit to $1,000 you can verify your account by providing a photo of your Driver’s license and Passport/PR card. For some reason they did not accept BC Services Card, but the PR card has worked well for me as a second piece of ID. You can use Coinbase via the website or through the app – I have both. The app is convenient because you can set alerts so that your phone will notify you when the currency reaches a certain price level, or if you just want to dollar-cost average your way into the market, automatic buying can do that for you. To set up automatic buying every day, week/every second week or every month, check the box “Repeat this buy” and select the desired frequency. That’s it – it is that simple!